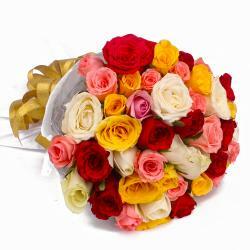 Product Consist : 22 Mix Color Roses with green fillers in Cellophane Wrapping with Ribbon Bow on it. 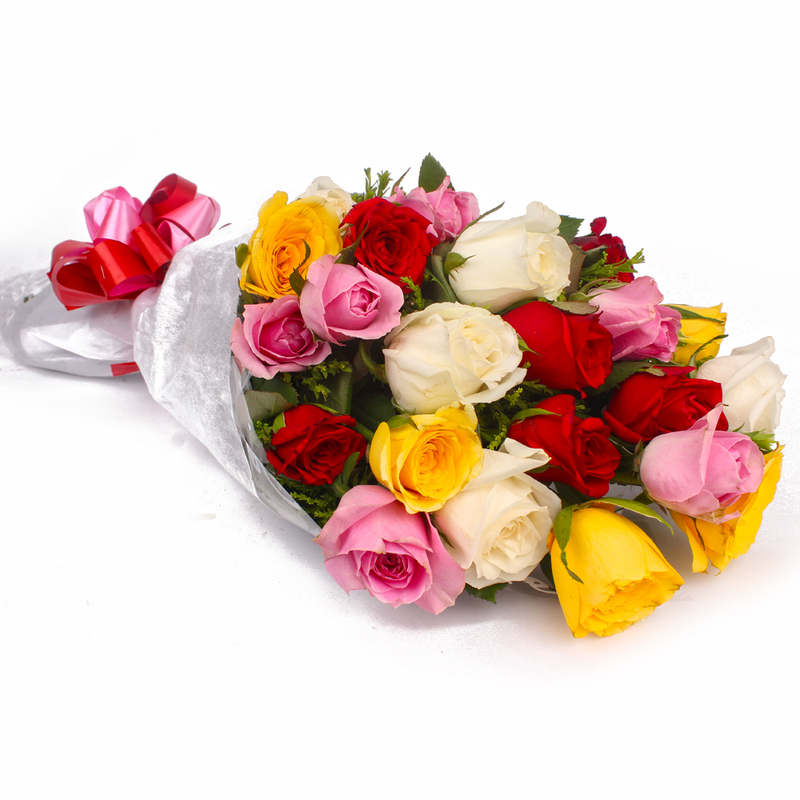 This gift pack will be really hard to turn down courtesy its collection of colorful roses. 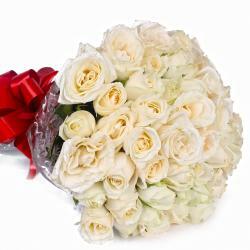 These roses will stun any recipient of this gift pack courtesy their beauty, charm and unadulterated vivacity. 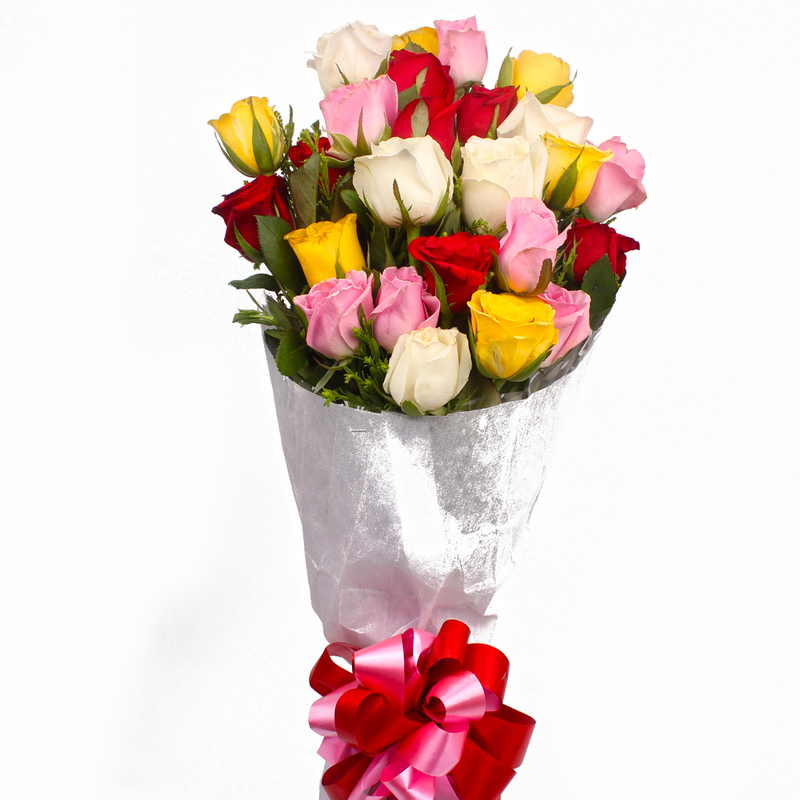 These colorful roses twenty two stem have been neatly packed in cellophane for added effect and there is matching ribbon bow tied onto the entire ensemble to create a new dimension. 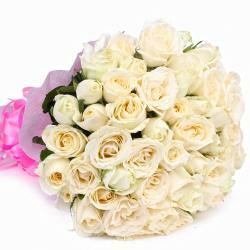 This pack is a great bet when it comes to surprising near and dear ones on special occasions like Bhai Dooj, Diwali, anniversaries, birthdays and Rose Day among many others. 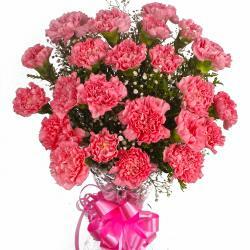 Product contains : 22 Mix Color Roses with green fillers in Cellophane Wrapping with Ribbon Bow on it.